Your Credit Score Can Make You A Winner. We are all just a number, and that number is our credit score. Scores play a major part in the approval process of mortgage lending. 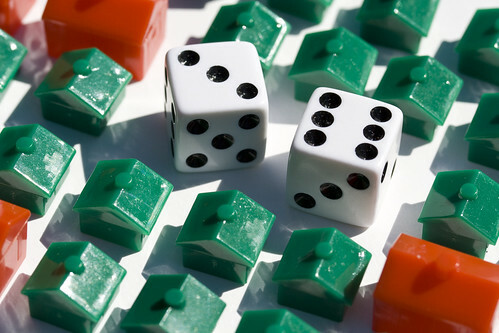 Scores not only determine if you can be approved for a mortgage, but influence whether you get the best interest rate. Since the mortgage meltdown, lending guidelines are tighter, more down payment is required and score requirements have increased. So exactly what score is required to buy a home? It is interesting to see what is involved in creating credit scores. Fair Isaac Corporation, the creator of FICO credit scores, kept the mechanics of what makes up credit scores a mystery, but has revealed that there are are five components that make up credit scores: 1. Payment history makes up 35 percent of your scores. 2. The amount of debt makes up 30 percent of scores. 3. Age of credit history makes up 15 percent of scores. 4. New credit makes up 10 percent of scores. 5. Types of credit used makes up the remaining 10 percnet of scores. From these percentages, you can see that a good payment history and conservative use of credit lines (credit cards) has the highest influence on keeping high scores. Conventional lending, FNMA (aka Federal National Mortgage Association aka "Fannie Mae") and FHLMC (aka Federal Home Loan Mortgage Corporation aka "Freddie Mac"), have the most conservative approach when it comes to debt ratios, down payment funds and credit scores. The automated approval system may approve the loan even with a 640 mid score, but there will be "pricing adjustments" that will cause the rate to increase. If the scores are in the 720 range or higher, no pricing adjustments will apply. Most lenders have set a 640 score as a lower limit that they will accept. FHA (Federal Housing Authority) is a government agency that insures loans with very low down payments. The approval guidelines are more lenient than conventional lending. Debt ratios can be higher, credit requirements can be looser. FHA does not set scores for lenders, the lenders set their own. There is, however, the cost of the mortgage insurance premium (mip), which will be a higher cost when scores are low. Some FHA lenders have started requiring a minimum of 640 mid score, but there are lenders who will accept much lower scores (as low as 580). "Pricing adjustments" will apply, so the rate will be higher than a loan with a much higher score. In view of conventional and FHA score requirements, it is interesting to know that FHA insures eligible loans even with lower scores, but these low score loans do not have a market when the lender needs to sell their loans. It is the lenders who have set a 640 mid score minimum that ensures that the loan can be sold. Some lenders do not have to sell their paper immediately, and can accept lower scores. These lenders are not the "norm," and you will not find advertising for them. However, call your mortgage broker. Brokerages are always connected with many lenders whereas banks have only one menu of programs (their own). If your scores are low, take heart in knowing that you can increase your scores. Because payment history and level of debts impact 65 percent of the total score, it makes sense to work on this area. Go to Annualcreditreport.com (see Resource) and get your report. See what percentage of each credit line is being used on your credit cards. It is best to pay those cards down to 40 percent of their maximum credit line. If one card is very low and another is very high, shift enough to get them both down to 40 percent (30 percent is even better). Late payments have a 30 percent impact in your scores, so always make payments on time or early. If you are planning to close out credit card accounts, keep your old ones. It takes a long time to build a good history, something that the newer accounts will not have. Home Buying Institute: What Credit Score to Buy a House?